The largest drugstore chain in the U.S. warned it could lose over 40 million prescriptions in 2017 as deals have been signed by Walgreens Boot Alliance with other participants that have shut CVS pharmacies out of the drug supply chain. CVS, which pioneered a new business model putting insurance and close to 9,700 pharmacies under one roof, lowered its outlook for profit for the remainder of 2016 and all of 2017. CVS shares plunged 13% in early trading on Tuesday. CEO Larry Merlo announced that two partnerships recently signed by Walgreens with health plans excluding entirely CVS drugstores from the networks was the biggest reason for its expected drop in prescriptions. The drugstore chain filled over 1.03 billion prescriptions during 2015, which was up from over 722 million that were filled in 2010. Pharmacy-benefits managers that include businesses such as CVS Health’s Caremark and Express Scripts Holding operate as a middleman between the insurance companies as well as corporations that pay for the health coverage, drug manufacturers and pharmacies. In addition, they help to process claims for prescription drugs while negotiating as well with insurance companies and drug makers over the price of different medications. 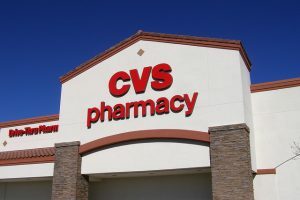 By being the owner of Caremark along with thousands of drugstores, CVS Health closely aligned both its businesses to entice patients to fill prescriptions somewhere in the CVS group. However, that left Walgreens an opening to partner with other groups of benefit managers. Walgreens, said one industry analyst, used the strengths of CVS against it. Under Stefano Pessina, the Walgreens Boots CEO, the company has aggressively pursued deals making its own pharmacies part of the preferred networks where a patient can fill prescriptions at discounts. It has become the preferred pharmacy with United Healthcare’s OptumRx and with Prime Therapeutics, which is the manager of drug benefits for 14 health plans of Blue Cross/Blue Shield. In October, Walgreens signed a new deal becoming Tricare’s preferred network. Tricare is the Department of Defense’s healthcare network. The deal supplanted CVS Health. Walgreens also agreed to acquire Rite Aid the third largest chain of drug stores in the U.S., though the deal is awaiting approval from regulators. Walgreens for its fiscal year that ended August 31 filled more than 929 million prescriptions. Merlo said that the deals Walgreens signed with Tricare and Prime cuts out the CVS pharmacies completely and that weighs on its profitability.